The mule deer (Odocoileus hemionus) is a deer indigenous to western North America. 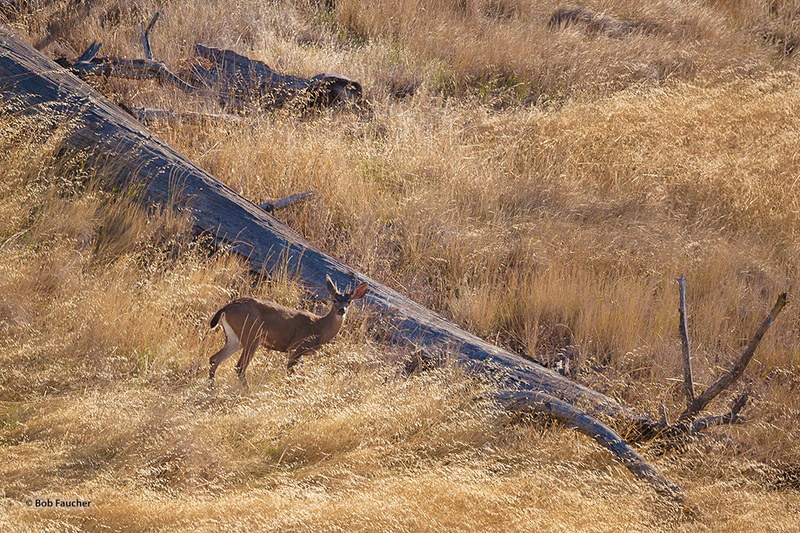 This doe was seen in the Montgomery Woods of Mendocino County on a bright Fall morning. I missed my opportunity to get the buck. Photo © copyright by Robert Faucher.